I often play for dances sponsored by various organizations. Here are some of the dates scheduled; more dances are always being added! Please see the dance calendar for full info as each date gets closer. 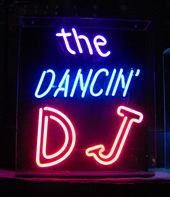 If you are interested in having The Dancin' DJ play for your dance, party or wedding, click here for more info.